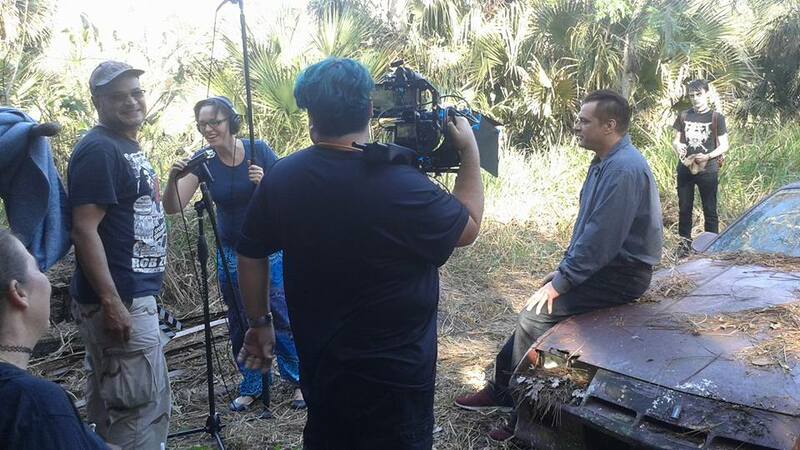 Lowrie and Shiva on the set of "The Family Way: Coming Home"
Lowrie Fawley and Avid Pauly in "Father of Lies". Cinematographer Scott Sullivan setting up a shot for "The Family Way: Coming Home". 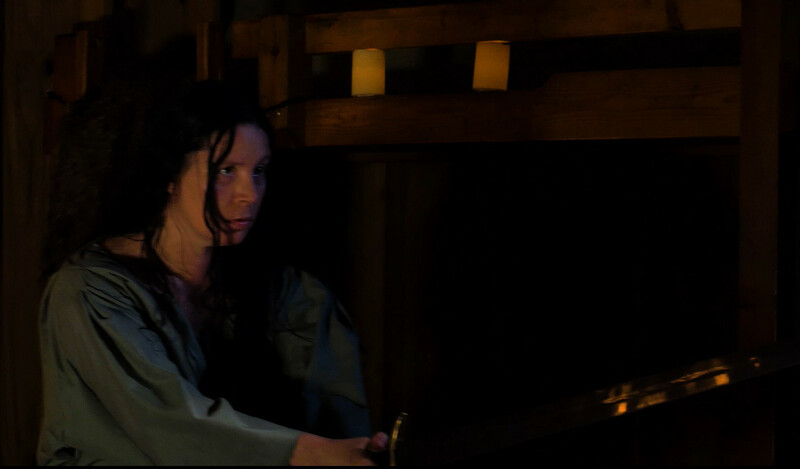 Shiva Rodriguez in "Father of Lies". 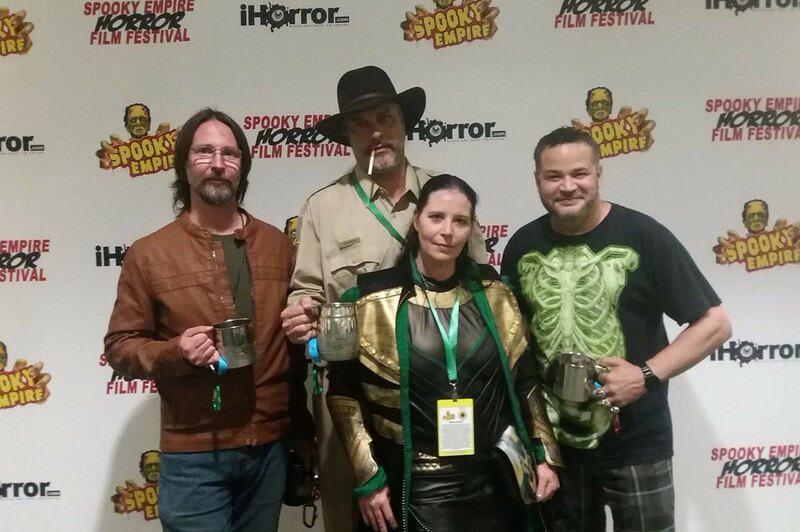 Garith Pettibone, D. Duckie Rodriguez, Shiva Rodriguez, & Steven Cardona at the Spooky Empire Horror Film Festival screening on "Father of Lies". 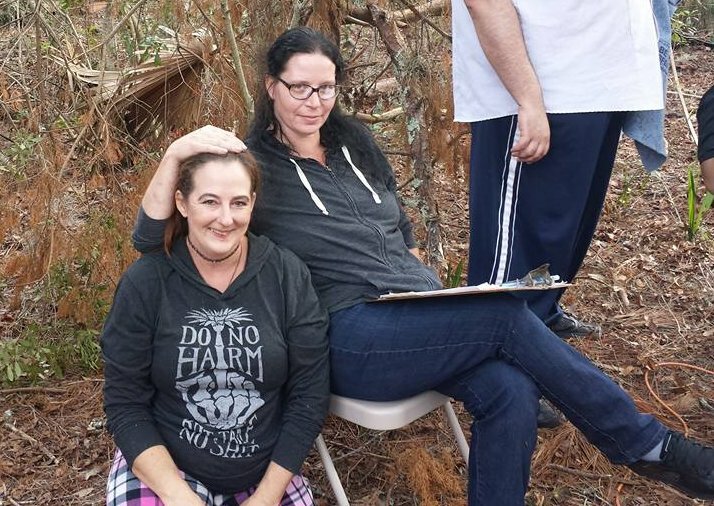 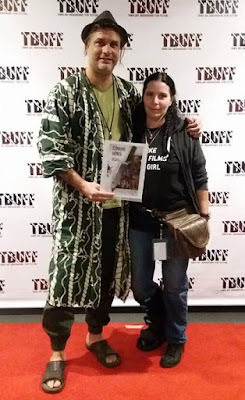 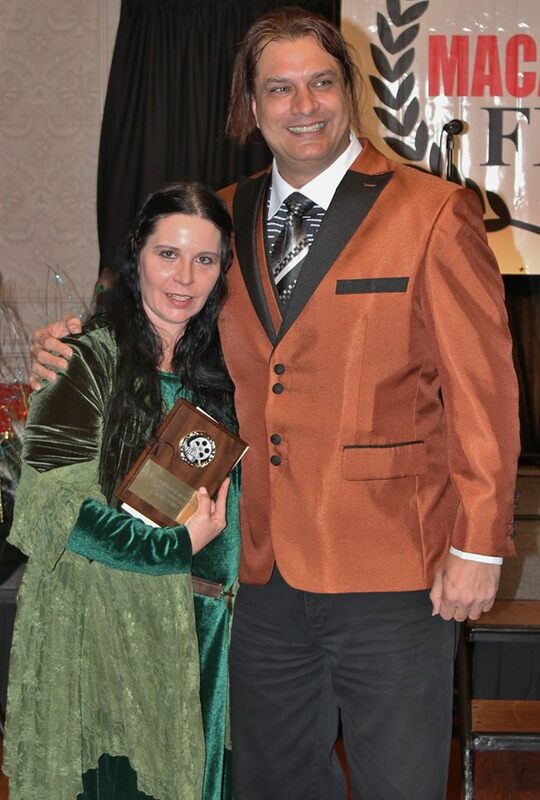 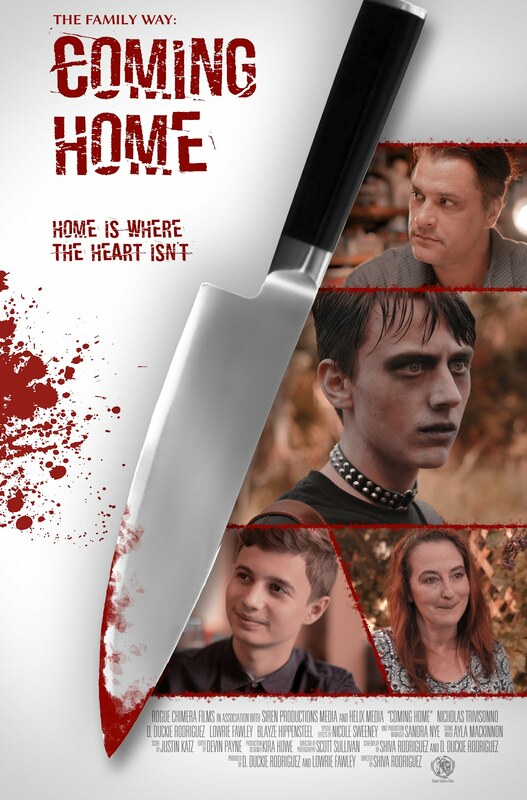 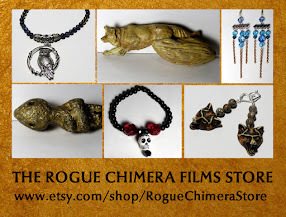 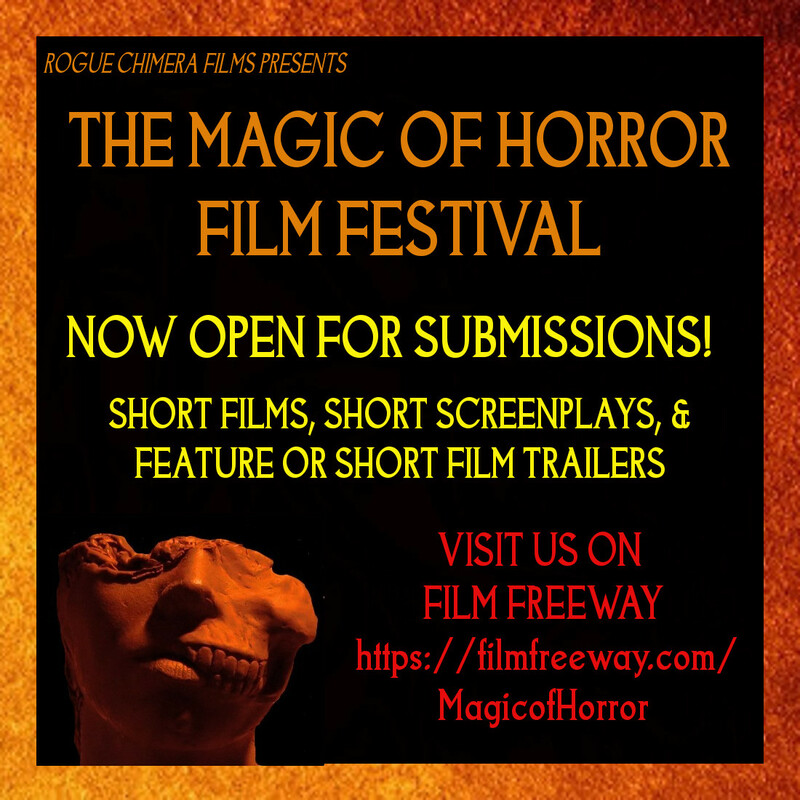 Writers Shiva Rodriguez and D. Duckie Rodriguez winning the Best Short Screenplay award for "Coming Home" at the 2018 Macabre Faire Film Festival. 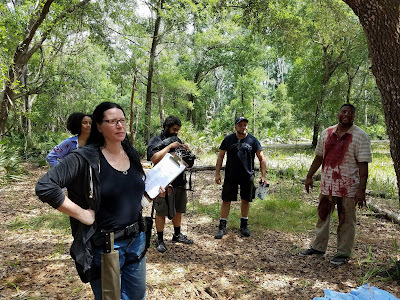 On the set of "Father of Lies"
Actor Nicholas Trivisonno and Director Shiva Rodriguez setting up a special effects shot for "The Family Way: Coming Home". 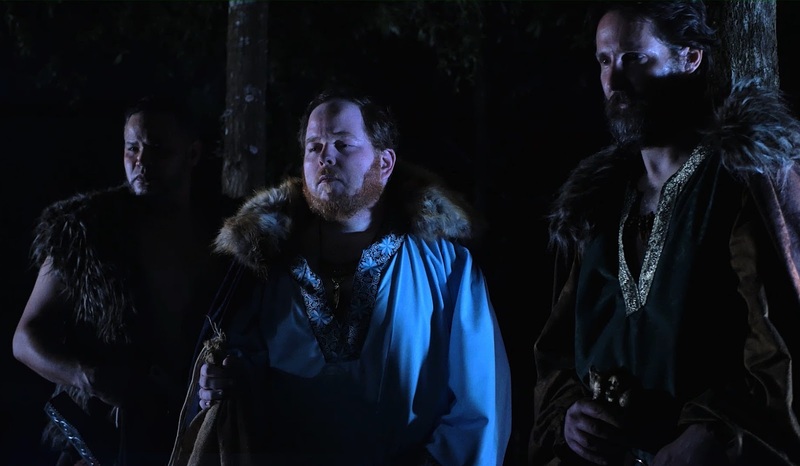 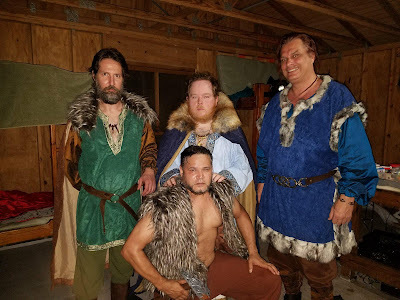 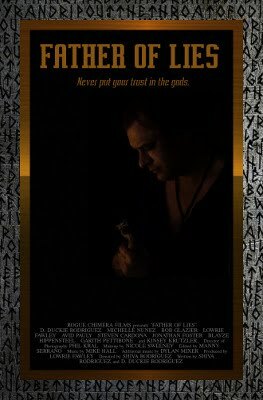 Norse Gods Tyr (Garith Pettibone), Balder (Jonathan Foster), Thor (Steven Cardona) and Loki (D. Duckie Rodriguez) in "Father of Lies". Lowrie Fawley and Shiva Rodriguez with some other very talented ladies (and a male host) on the Women in Horror panel at the 2018 Macabre Faire Film Festival. 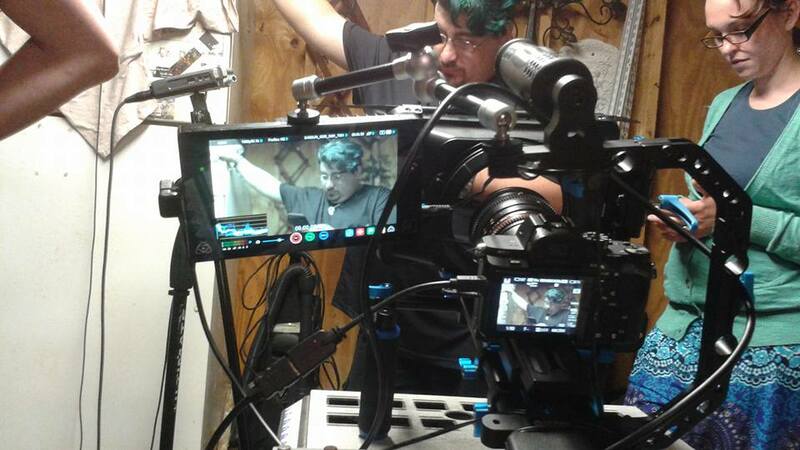 Setting up a big scene in "The Family Way: Coming Home". 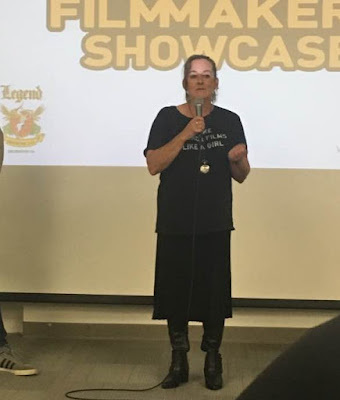 Lowrie answers questions at the 2017 RVA Filmmaker Showcase. 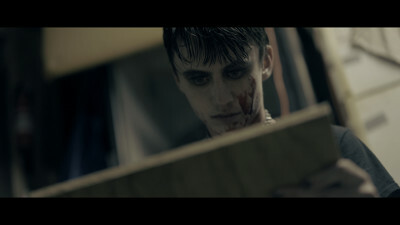 Screenshot from "The Family Way: Coming Home". 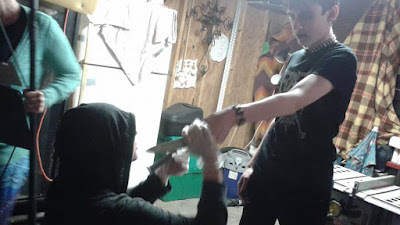 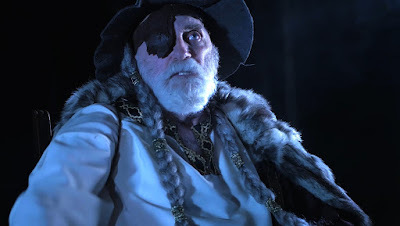 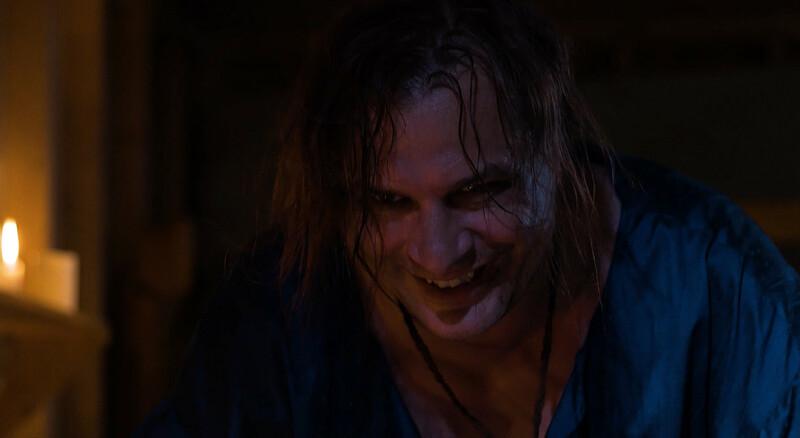 Screenshot from "Father of Lies". 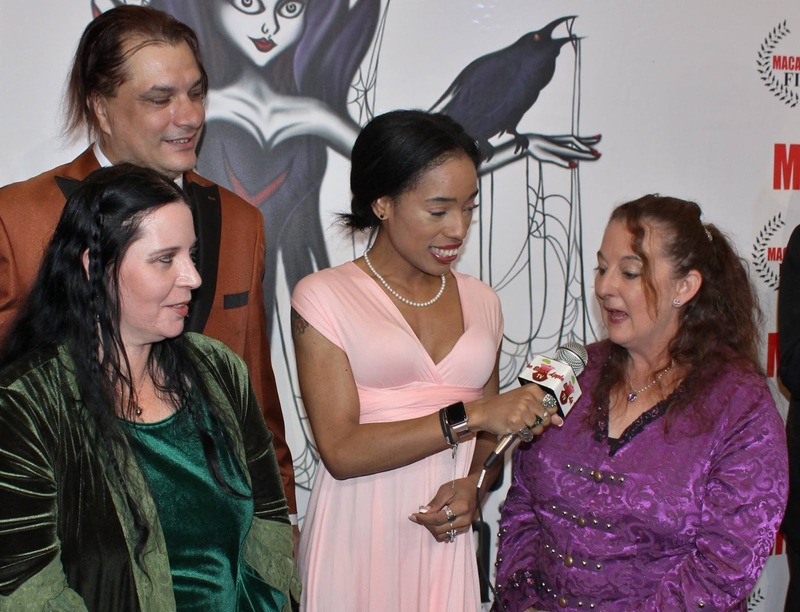 Duckie, Shiva, and Lowrie during an interview at the Macabre Faire Film Festival. 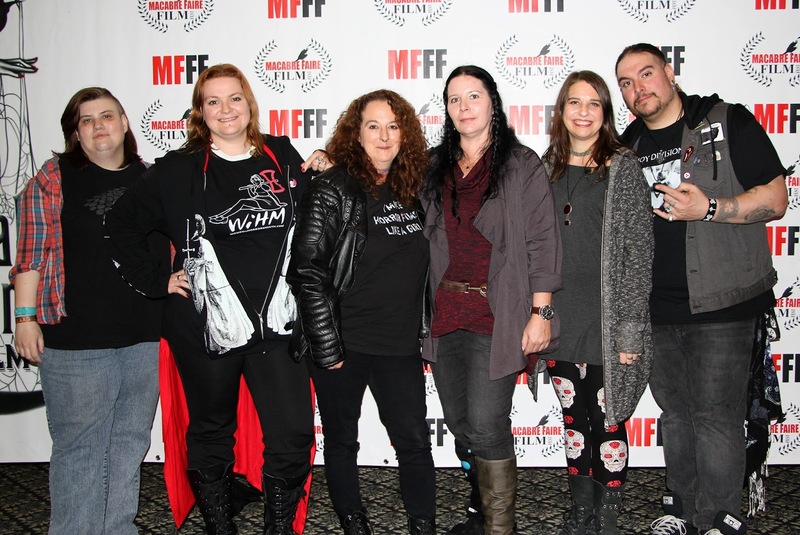 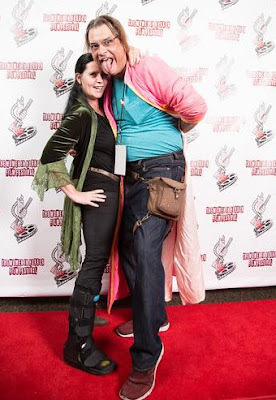 Shiva and Duckie at the 2017 Women in Horror Film Festival. 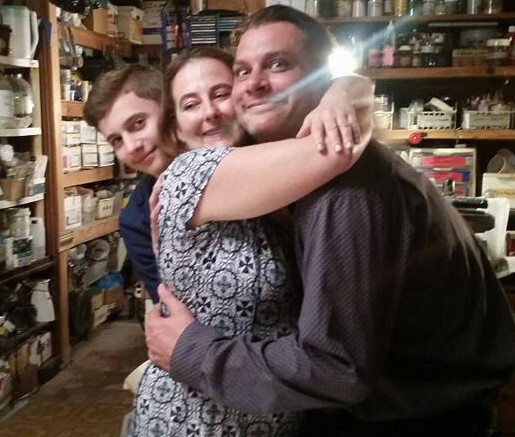 Cast of "The Family Way: Coming Home" goofing off between takes.